It’s been a while, I think, since I’ve regaled you with anything seriously writing-related. At least, I think it’s been a while — and since I can’t remember for sure, that tells me I’m right. This might be circular logic, but I’m not sure about that either, so let’s just move on. 1. I am still plugging away at my soft sci-fi novel Elevator People (working title). I am approaching what should be the final chapter BANGERANG ZOUNDS CAN I GET A HALLELUJAH?!? I love this story, I love the characters, I love it all, but I will be SO everlastingly glad to be done with this first draft. BRING ON THE EDITING, says I! But no, first they have to climb a staircase, then they have to cross into the Prime Dimension or whatever, then they have to talk to The DUDE Dude, and then they have to decide if their story ends here or not. All of that should take fewer than 10,000 more words. I’m excited. 2. Work continues on the Grace & Jack sci-fi short story for Tony Healey’s charity anthology. It’s surreal and poetic and I’m enjoying immensely. Getting into Grace’s head is always a weird experience, and I kinda like those. So. All of this proves that the BLURGLEMAMJUFLOOBELSCHNITZEN is receding, which pleases me no end and affords me copious peace of mind. So yay. 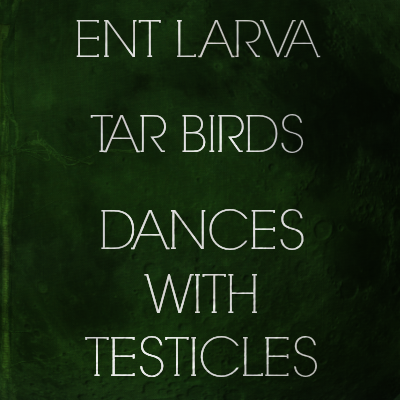 I’ve also put together a post full of fantasy/sci-fi inspirations, including ent larva, elves made of ice, and something I shall now call Dances With Testicles. Me: You’re up late. You said you were going to bed an hour ago. Me: You’re not dumb. I wouldn’t’ve married you if you were dumb. Ed: You’ve said that before. I’m starting to think you’re dumb too, and we just don’t know it yet.